Congratulations on attaining this milestone in your career and life! Review the information below for details specific to your elected retirement plan. Retirement is a measured decision, and the timing of one’s retirement varies per individual. Many factors, including finances and plans for life after leaving full-time employment, should be considered in deciding when one is ready for retirement. Below is information for both Teachers’ and State Employees’ Retirement System (TSERS) members and UNC Optional Retirement Program (ORP) participants, and includes what happens to active benefits and the process for retiring. The Teachers’ and State Employees’ Retirement System (TSERS) is a defined benefit plan. For TSERS members, eligible retirees receive a guaranteed lifetime monthly benefit, also known as a pension. The pension is calculated based upon a formula. The formula consists of the number of years of qualifying service, the retirement factor (determined by the State Legislature), and the average of the highest forty-eight consecutive months of qualifying salary. There is an online retirement process available for those who cannot have an in-person retirement counseling session. However, submission of the retirement application is only one step in the retirement process. The following is information shared in the counseling session, and will assist you in understanding what will happen to current and retiree benefits upon retirement. A mandatory six-month break in service from State of North Carolina employment is required upon retirement from TSERS. The monthly pension is paid via direct deposit on the 25th of each month. First pension check is mailed; subsequent pensions will be direct deposited. Mandatory six-month break: The State Retirement System requires that retirees do not work in any capacity (direct or indirect) for the same branch of the retirement system from which they retired for six months after retirement. Violation of this rule will result in cancellation of retiree benefits. An exception is made for volunteering in “bona-fide volunteer” positions. Note that applicable positions must be deemed as such with the State. No such positions exist at NC State University. Rehired retirees are subject to earnings and work hour restrictions in order to maintain retiree benefits. For questions or clarification, contact the State Retirement System or your department-assigned Benefits Consultant. 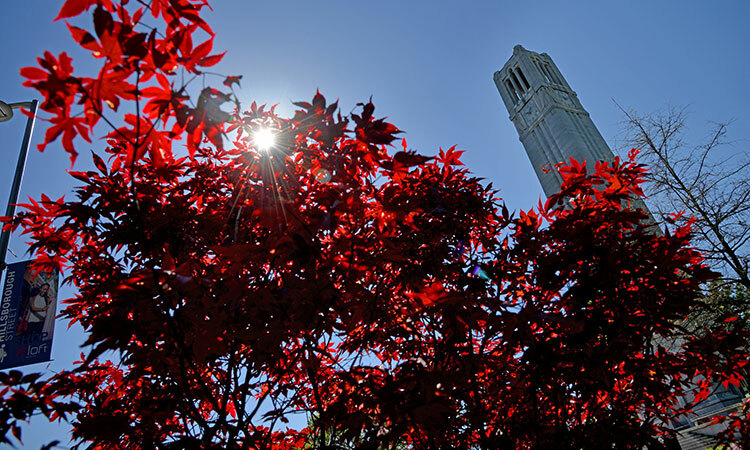 Bailey Vesting: For those vested in TSERS prior to August 12, 1989, the pension will not be subject to NC state tax. Additional retirement forms must be completed and submitted. These include forms for direct deposit, taxes, the death benefit and the guaranteed refund beneficiary form. All forms are available online via ORBIT. Be sure to submit forms timely. Late submission of forms will delay receipt of your pension. Retirees may retain their NC State email account at the discretion of their department management. A department HR representative will submit a no-pay action in the HR System to maintain access. See instructions for submitting Retiree and Guest Accounts (found near bottom of page). Remove any custom information. Ex: Phone Number, address, etc. Note: In order to update the directory, you will need to have DUO Security set up. Contact the Help Desk at 919-515-HELP (4357) or help@ncsu.edu if you have any questions. The UNC Optional Retirement Program (ORP) is a defined contribution plan. For participants in this plan, retirement is based upon how contributions perform over time. To qualify for retiree health insurance, you must be in receipt of a monthly benefit from your ORP account. Benefits staff at NCSU do not have access to your ORP account. Schedule a meeting with the ORP vendor reps assigned to NC State to determine the best method of receiving a monthly benefit from your ORP account. Some retirees may need income replacement, and some may simply need to receive enough to qualify for retiree health insurance, if eligible. The vendor rep can assist in determining the amount right for you. After meeting with the vendor rep, schedule a meeting with your department assigned Benefits Consultant for information on will happen to current active benefits and retiree benefits upon retirement. There are no age requirements for retirement under the ORP. Vesting in the employer contributions occurs after 5 years of ORP participation. Consult with your ORP vendor rep for assistance in determining your options for a monthly benefit with the plan. Meet with your department-assigned Benefits Consultant at least 120 days prior to your retirement date, during which you’ll . . .
Enroll in your retiree health insurance, if eligible, when notified by the State Retirement System. You will need to remit payment for retiree health insurance. A one-month break is suggested for ORP participants. Bailey Vesting: For those enrolled in the ORP prior to August 12, 1989, the monthly benefit from the ORP account will not be subject to NC state tax. State Health Plan Your active group health coverage will end based upon last day of employment. If age 65+, you will be defaulted into a Medicare Advantage plan through the State Retirement System. If you wish to change from the defaulted plan, contact the State Retirement System no later than your retirement date. Dependent coverage can be continued at full cost with the Retiree Health Plan. If age 65 or older, enroll in Medicare Parts A and/or B with effective date same as retirement date. Obtain the Request for Employer Information (Form OMB No. 0938-0787) from your assigned Benefits Consultant. Once enrolled, a new medical ID card will be sent to you. Provide this to your doctors and pharmacies when your retiree health coverage is effective. Optional Retirement Program (ORP) TSERS or ORP deductions are deducted from annual leave and bonus leave payouts, if applicable. If ORP, you must complete an ORP-3 form to document your vesting. Retirement deductions will be taken from leave payouts, if applicable. Fidelity: 1-800-642-7131 Voluntary retirement deductions will end when employment ends. You may elect to have leave payouts deferred into a voluntary retirement plan. Accident Plan, Dental, Vision, Cancer, NC Flex Group Term Life Insurance, Accidental Death, Critical Illness, Flexible Spending Accounts Your current NCFlex coverage will end on the date full-time employment ends. You will have the option to continue your coverage through COBRA for up to 18 months by paying the full premiums directly to the vendors. The vendors will mail the COBRA offers to your home address. NCRGEA.com (ORP and TSERS) NCFlex benefits end when full-time employment ends. (Short-Term and Long-Term DIP-Disability Income Plan) Coverage ends on the date full-time employment ends. Disability coverage ends on the date full-time employment ends. Standard Long Term Coverage ends on the date full-time employment ends. Hyatt Legal Plan Coverage ends on the date full-time employment ends. Hyatt Legal Plans can be continued for a 24-month period following your employment ending. All 24 months of coverage must be paid for in one lump sum to Hyatt Legal to continue the coverage. Call 1-800-821-6400 for more information. MetLife Term Life Insurance Your MetLife Group Term Life insurance ends on the date full-time employment ends. You may continue the amount of your current coverage up to $150,000 in retirement. Amounts over $150,000 may be continued through portability or conversion. Contact your department-assigned Benefits Consultant if you wish to continue amounts over $150,000. You may continue dependent coverage as well. MetLife will send you an invoice within one month after retirement. Traveler’s Insurance (home, auto) Traveler’s deductions end on the date full-time employment ends. Call 919-847-4909 for information on continuing coverage. Parking A parking deduction will continue until you return your virtual permit". An “R” sticker is also available for retirees who wish to continue parking on campus. Visit Transportation’s Contact Us page and under the “Have a Question or Comment” section choose “Returning Virtual Permits: Chris Dobek”. Fill out the information and include the day you would like for your virtual permit to be returned. These can be future dated. Sick Unused eligible bonus leave and annual leave (up to 240 hours each for 1.0 FTE) are paid out when employment ends. For TSERS members whose retirement is effective January 1, annual leave above maximum amount to be paid will roll into sick leave balance as part of their retirement calculation. For TSERS members, unused sick leave balance is reported to TSERS and increases retirement service credit. For every 20 days of sick leave, the retirement service credit is increased by one (1) month. For ORP participants, note that sick leave will not affect your retirement. Consider donating leave to the Voluntary Shared Leave Program to assist employees in need. TSERS or ORP contributions are deducted from annual leave and bonus leave payouts. Annual and/or bonus leave payouts are based on WolfTime balances and is paid out the month in which they retire. For example, someone who retires effective August 1 would receive a leave payout on August 31. For additional deductions such as gym membership, SEANC, bank deductions, etc., contact the applicable institution for instructions on remitting payments after employment ends.